The Air Jordan 5 Retro takes the iconic AJ 5 design and gives it a no-laces twist. Laceless design nods to &apos;90s inspiration. Leather, synthetic and textile upper offers comfort and durability. Forefoot and heel Air Sole units in the foam midsole offer soft cushioning. Have your say. 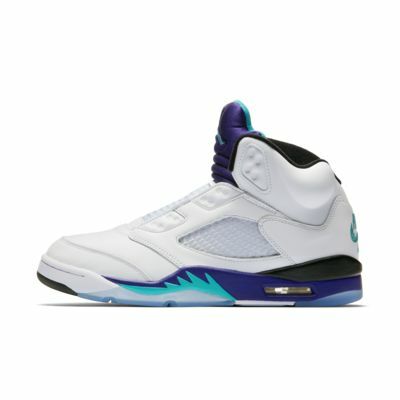 Be the first to review the Air Jordan 5 Retro.